Press Release – SEATTLE, September 5, 2018 — Studio-developer Daily Magic Productions presents the official trailer — https://youtu.be/gFnU4Z0ng48 and announced the release date of the Witching Tower, a VR Action-adventure game: October 4, 2018. The game will be available on Steam, Oculus Store, and HTC VIVEPORT. Six years ago, the Kingdom of Nemean fought a losing war against an invading empire. All seemed lost—and then a wave of sickness and undeath swept out from a tower at the heart of the Nemean capital. Skeleton soldiers fought the invaders back, but they didn’t stop there. Death and the undeath swept through the kingdom. Daily Magic Productions is a leading game developer with deep experience in puzzle, RPG and hidden object games. Daily Magic has released 28 games for PC and mobile devices, and aims to create new gaming experiences with the possibilities of virtual reality. 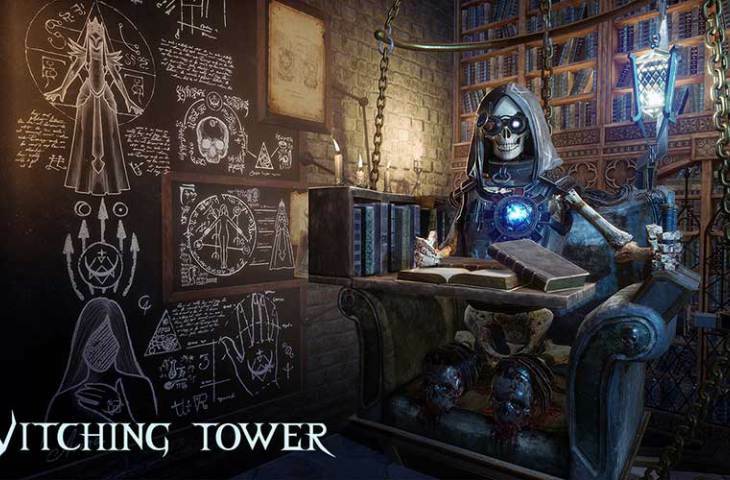 For more information on Witching Tower, visit the game’s official website and Facebook page.